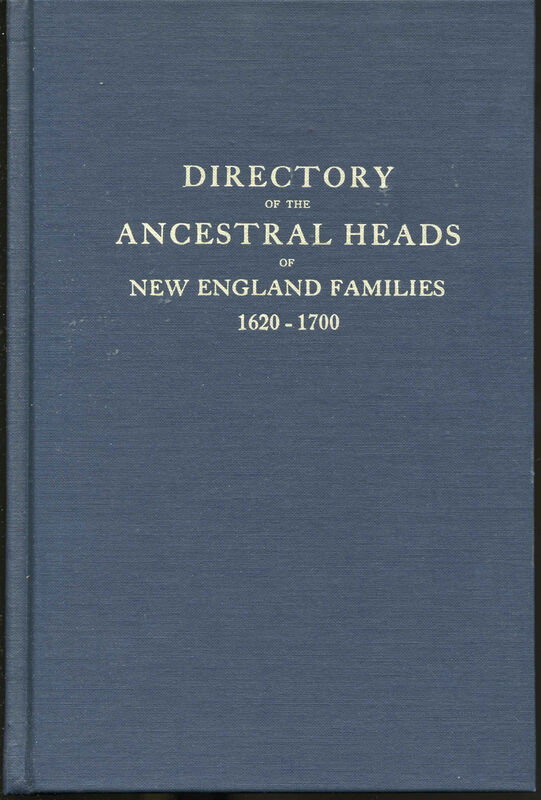 Today’s post continues exploring another one of the families I found in the Directory of the Ancestral Heads of New England Families 1620-1700 at the Main Campus of the Carnegie Public Library in Pittsburgh. It was compiled by Frank R. Holmes (Genealogical Publishing Company, Baltimore) apparently published in 1923 and then reprinted in 1989. Page after page is filled with alphabetical entries of last names and then, if known, the origin of that name, and the earliest American people in New England with that name. The original family name was de Boterel or Botrel; the first English record is Peter de Boterel, living in Staffordshire on 12th century. 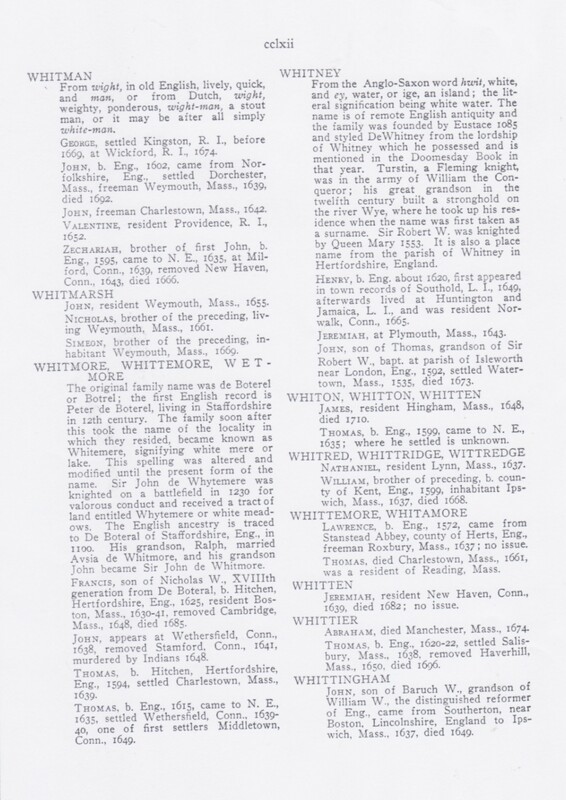 The family soon after took the name of the locality in which they resided, became known as Whitemere, signifying white mere or lake. This spelling was altered and modified until the present form of the name. Sir John de Whytemere was knighted on a battlefield in 1230 for valorous conduct and received a tract of land entitled Whytemere or white meadows. The English ancestry is traced to De Boteral of Staffordshire, Eng., in 1100. His grandson, Ralph, married Avsia de Whitmore, and his grandson, John became Sir John de Whitmore. FRANCIS, son of Nicholas W., XVIIIth [18th] generation from De Boteral, b. Hitchen, Hertfordshire, Eng.. 1625, resident Boston, Mass., 1630-41, removed Cambridge, Mass., 1648, died 1685. JOHN, appears at Wethersfield, Conn., 1638, removed Stamford, Conn., 1641, murdered by Indians, 1648. THOMAS, b. Hitchen, Hertfordshire, Eng., 1594, settled Charlestown, Mass., 1639. THOMAS, b. Eng., 1615, came to N.E., 1635, settled Wethersfield, Conn., 1639-40, one of first settlers Middletown, Conn., 1649. LAWRENCE, b. Eng., 1572, came from Stanstead Abbey, county of Herts, Eng., freeman, Roxbury, Mass., 1637; no issue. THOMAS, died Charlestown, Mass., 1661, was a resident of Reading, Mass. I haven’t been able to follow our line of Whittemore’s further back than 1844 when Christopher Whittemore was born to Edwin Whittemore and his wife Mary Pettis Whittemore. Nonetheless, I was fascinated by this name origin!